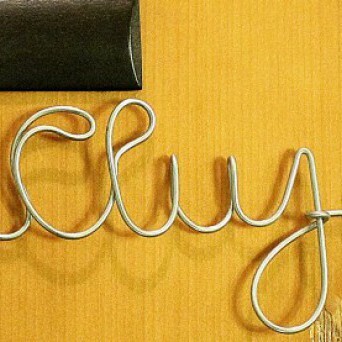 This is a beer that can put many respectable wines to shame. Everything about this beer shows that is not your regular „gulp-down-the-throat” lager, but an attentively prepared and aged biere de garde. 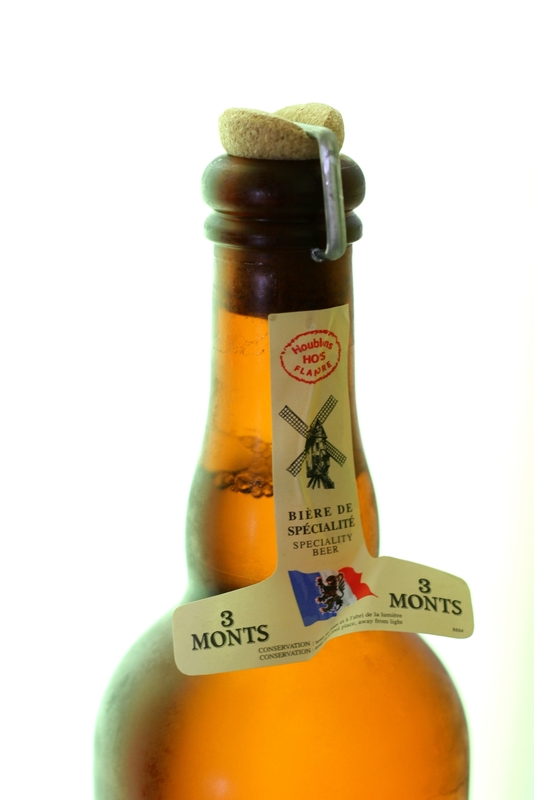 In the best tradition of Flemish breweries, it is crafted, bottled and displayed with the same care and attention to detail as any wine from a Chateau-Je-Ne-Sais-Pas. Brasserie St. Sylvestre is technically located in France (and therefore benefits form the powerful French marketing machine), and geographically and historically belongs to the Flanders regional culture -which places it the Haute-couture of beers. Needless to say, the products and recipes were perfected in the village for at least ten centuries, under the daily scrutiny of the local thirsty crowd. 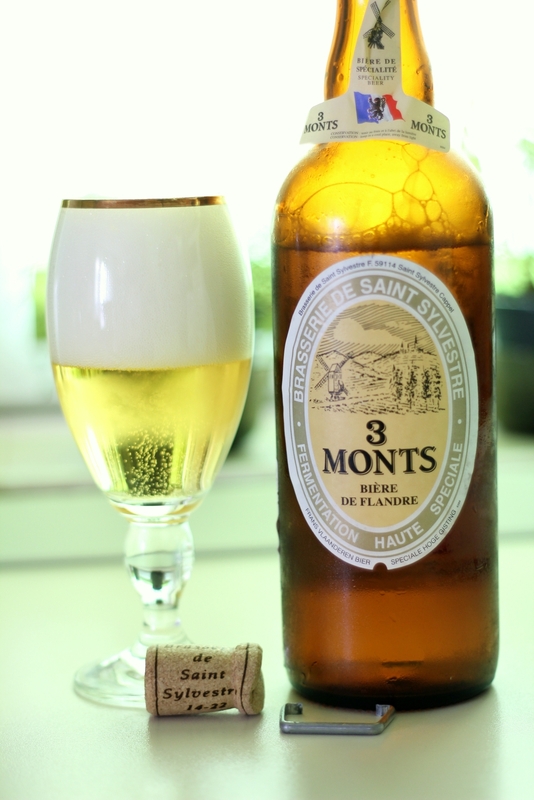 The name of this beer is „Trois monts” -three hills- coming from the natural barrier that prevented the beer being delivered too far, because the three hills were much too steep for a team of two horses to pull a cart loaded with wooden beer barrels. 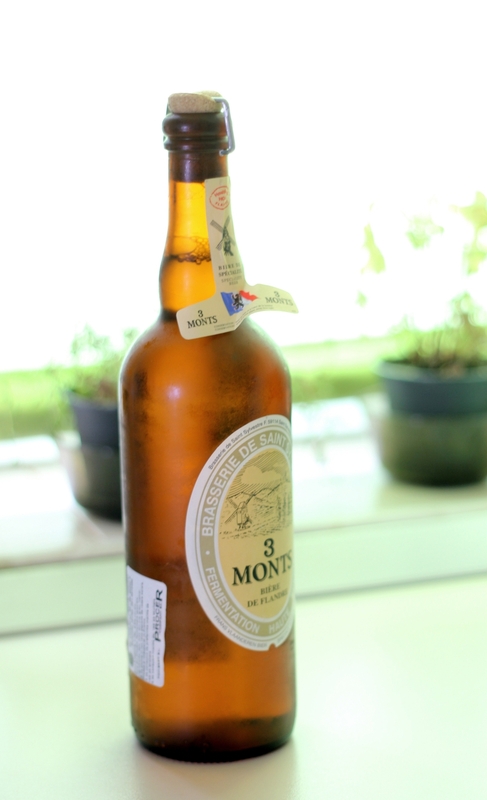 Such a handcrafted beer comes in an elegant 75 cl bottle, the size of a wine bottle, with a front, rear and neck label. The closure is with a cork stopper, shaped quite similarly with sparkling wines closures, and locked with an iron safety pin (not flimsy wire cages). 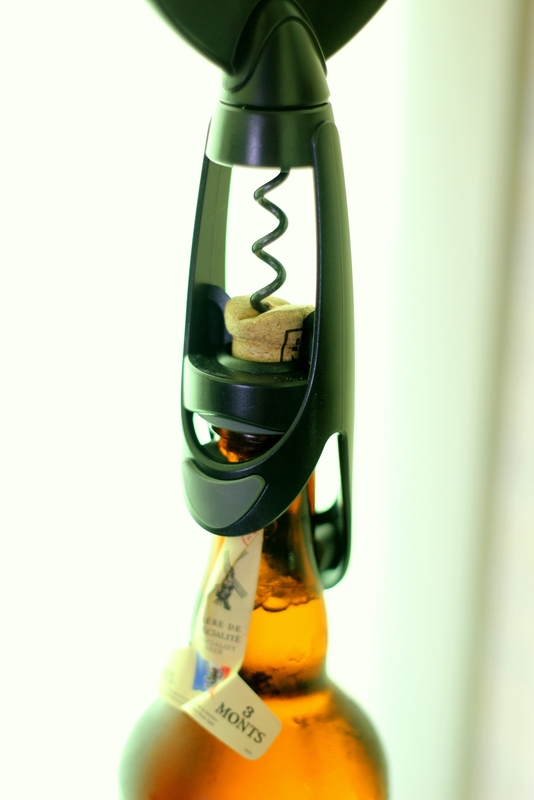 The entire top of the bottle is wrapped tightly in plastic sheet, to prevent water damaging the safety pin or cork. The dark brown bottle filters the light, ensuring thus a better conservation on the shelf. This beer even has its own technical factsheet, available on the brasserie‘s website, sharing information about fermentation process and serving suggestions. Beautiful deep greenish-yellow color, it has a thick layer of foam on top of the serving glass, which takes several minutes to settle. The hops flavor is upfront in the nose, bitter and refreshing, yet ripe and mellow, followed by chewy notes of polenta and biscuits. In the mouth it is crisp and pungent, filling the palate with tiny bites and a sensation of light fruitiness. After swallowing, a pleasant malt aroma lingers in the mouth. At 8.5% alcohol level it can take several minutes to drink up a glass, and couple of them is already too close to the limit. Combined with the size of the bottle, it makes this beer perfect to share with a table of friends, or to enjoy in a long lazy evening. Această înregistrare a fost postată la 7 august 2012 de Mihai Oprea în bere, English şi etichetată beer barrels, bere import, biere de garde, Brasserie St Sylvestre, cork closure, cork stopper, Flanders, Flemish beer, French beer, traditional beer.